It was our great pleasure to bring 2007 to an end with mega star Andy Lau's Wonderful World Concert. 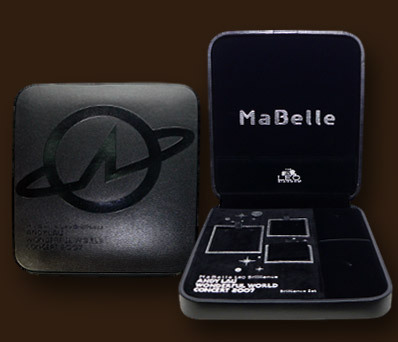 In honour of the famous tour it was our privilege to be able to craft a special edition Jewelry Box for company, Mabelle. For this limited edition we designed a cutting edge technique, never before used by Millevision, to produce a uniquely debossed surface commemorating Mr. Lau's tour. We were graciously informed by Mabelle of the Jewelry Box's flying success, selling out nearly as fast as we could craft them. Copyright 2008 Millennium Vision Limited. All Right Reserved.